occasionally added where they are useful. But here its the other way round. In this case, the substance is in the pictures. Short captions are enough to explain the meaning. These are, obviously, photographs from orbiting satellites. as we usually see in planispheres and other maps. are developed by the National Geophysical Data Center. Lets start with nighttime lights for the whole planet planisphere. The contrast is remarkable between the brightly lit and the dark areas. 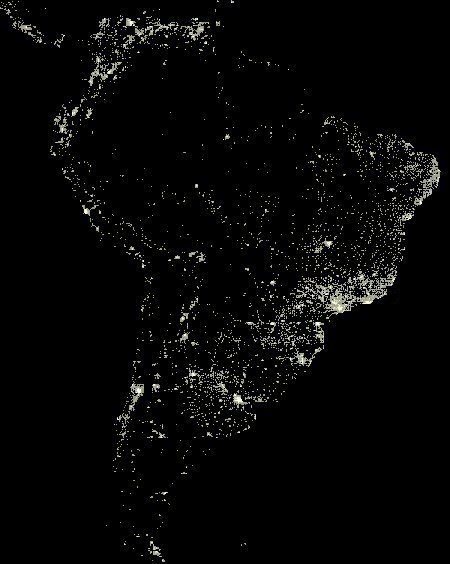 there is low population density or electricity is scarcely available. 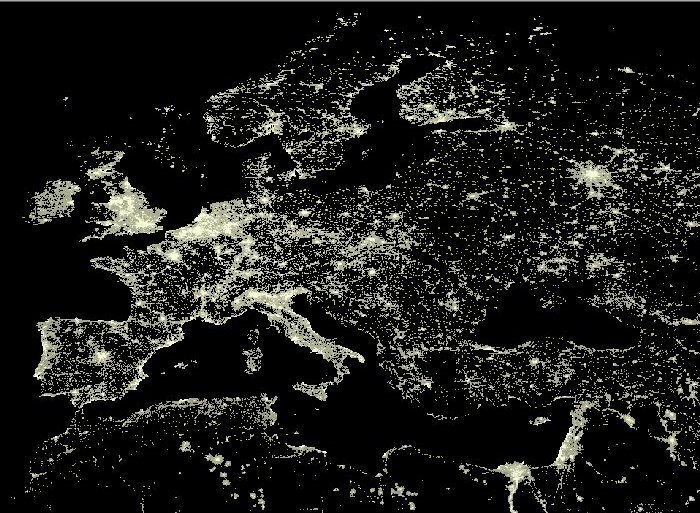 Obviously there is strong nighttime light in Europe. rather than greater or lesser use of electricity. (mountains, deserts) but also large territories with low population density. 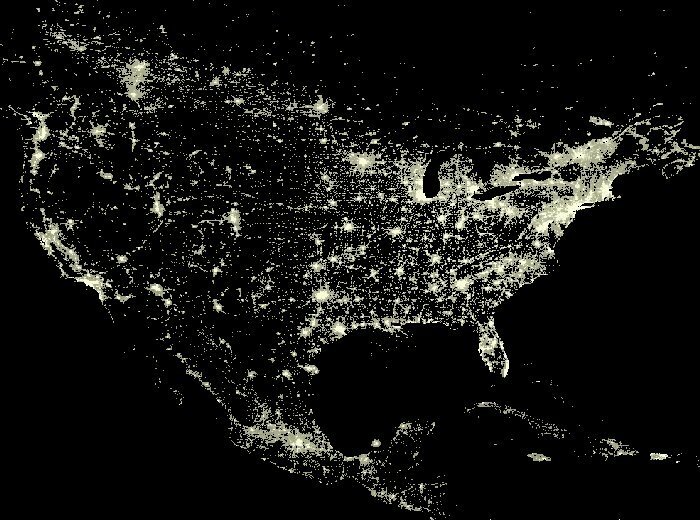 Some densely populated areas lack electtricity  or anyhow have scarce nighttime lights. in South Korea compared to the darkness in North. have the highest intensity of nighttime lights. in America, of uninhabited or low population density areas. 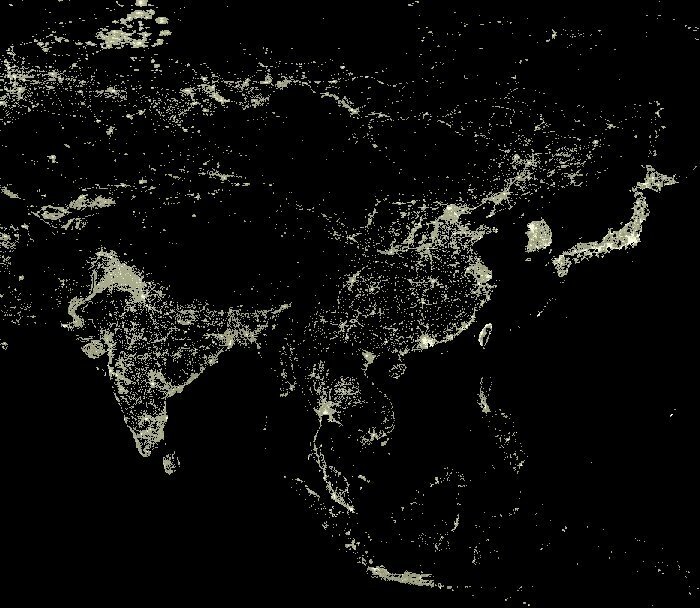 Wide territories are dark for absence or scarcity of human settlements. but also cultural tradition, lights dont shine in the night. They are all interesting, intriguing. And they all help us to understand. Every different perspective increases our wealth of knowledge.